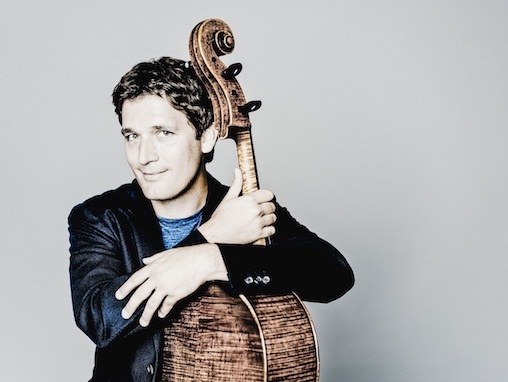 Today, Columbia Artists announced that German cellist Maximilian Hornung will join its North and South American management roster. With his striking musicality, style, and musical maturity, Maximilian Hornung has taken the international music scene by storm. He is a regular guest soloist with some of the world’s most prominent orchestras, including the London Philharmonic Orchestra, Philharmonia Orchestra, Tonhalle Orchestra Zurich, Czech Philharmonic, Vienna Symphony, Bavarian Radio Symphony Orchestra and Bamberg Symphony. In September 2018, Hornung begins his tenure as Artistic Director of the VivaCello Festival Liestal. In May 2017, Hornung made his acclaimed debut with the Pittsburgh Symphony Orchestra performing Richard Strauss’s Don Quixote. In addition to debuts with the Orchestre National de France under Semyon Bychkov and the Swedish Radio Symphony Orchestra under Daniel Harding, highlights of Mr. Hornung's 2017/2018 season included an appearance at the Heidelberger Frühling Festival conducted by Elias Grandy and a return to the Florida Orchestra under its music director Michael Francis. Hornung begins the 2018/2019 by inaugurating his tenure as Artistic Director of the VivaCello Festival Liestal in Liestal, Switzerland in September 2018. During the 2018/2019 season, Hornung returns to the Pittsburgh Symphony Orchestra, the Staatsphilharmonie Rheinland-Pfalz, Kammerakademie Potsdam, the Orchestra della Svizzera Italiana and the Munich and Stuttgart Chamber Orchestras. He will make his debuts with the Staatskapelle Weimar, the Orchestre Metropolitain Montreal, the Deutsche Kammerphilharmonie Bremen as well as the Colorado Springs Philharmonic. Hornung has already amassed an impressive, award-wining discography, which includes the highly acclaimed recording of Schubert’s Trout Quintet with Anne-Sophie Mutter and Daniil Trifonov, released in 2017, as well as Dvorák’s Cello Concerto with the Bamberg Symphony, Richard Strauss’ major cello works with the Bavarian Radio Symphony Orchestra under Bernard Haitink (Sony 2014) and Joseph Haydn’s cello concertos with the Kammerakademie Potsdam under Antonello Manacorda. His debut solo album, Jump!, was awarded the ECHO Klassik Prize as newcomer of the year in 2011.